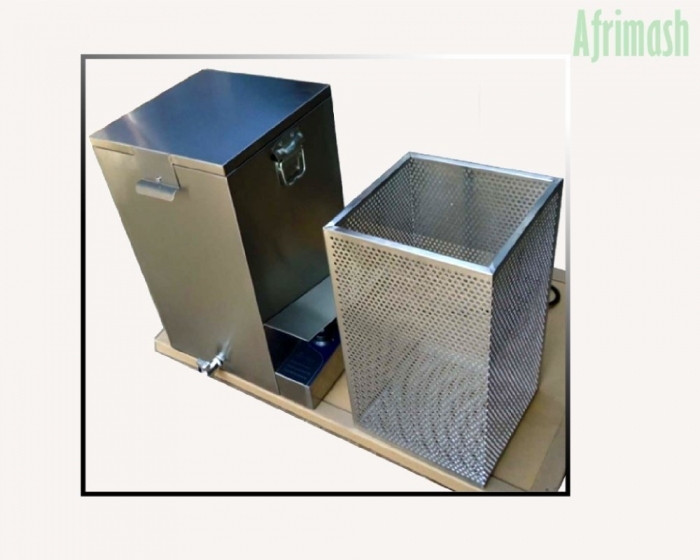 This machine offers a combination of efficiency as well as time-saving options for the swift processing of poultry for farmers/vendors. Poultry transport to the slaughterhouse – hook assembly line – shock/slaughter – bloodletting – scalding – feather-plucking – evisceration/processing – washing – pre-chilling – cutting – packing. 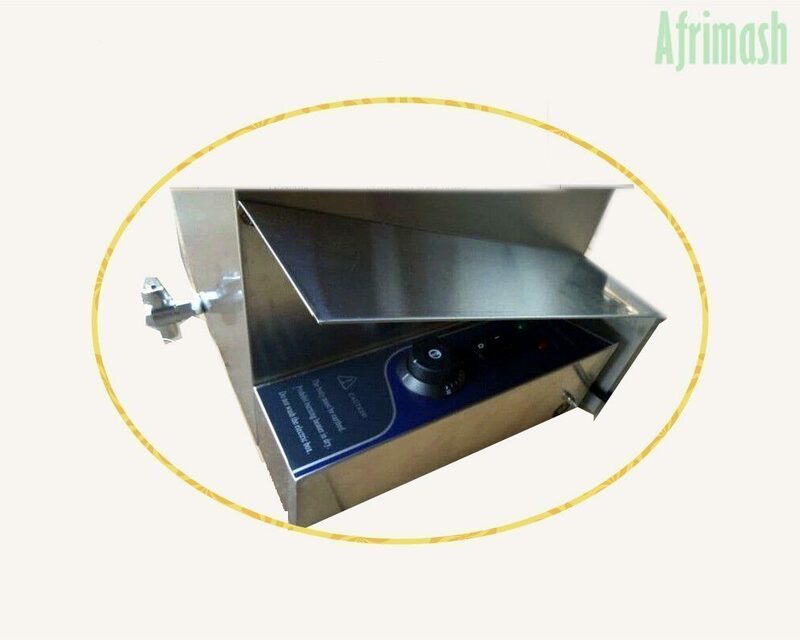 This stainless steel scalding machine is thus indicated for use in conjunction with the defeathering machine for the removal of feathers from poultry birds (broilers, old layers, cockerels, turkeys etc). 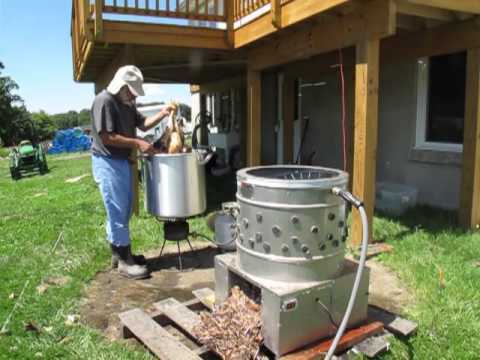 This electric scalding machine has an operational capacity for processing 5-10 birds per batch. Stainless steel material/housing for durability and longer service life. A twist-knob temperature setting console with user-friendly controls. Sensitive thermostat control switches with heater indicator lights (Heat On, Heat-Ready). 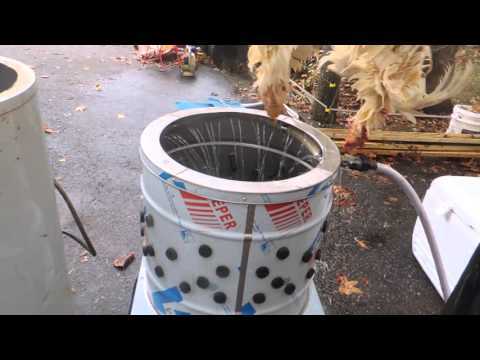 High thermal mass capacity to scald 10kg batches of slaughtered poultry. This offers a comparably economical power option than the use of gas. The machine is easy to clean and features fitted drains and outlets. Fill the scalder with water (fill to about half of the water box). Adjust the thermostat to “O” position, plug in, then switch on the machine. Reset the thermostat to the desired temperature (80 to 90 degrees). Once the water has been heated to the desired temperature (as displayed by the thermostat), immerse the slaughtered birds into the water box and agitate briefly. Once the wing feathers are easily pulled out, the scalding process is deemed completed. Do not leave the bird in the scalder. Scald just long enough so feathers can be picked. Leaving birds in the water causes unnecessary drops in water temperature and damages the skin.